So, you want to restore your old piano? Before you can make that decision, you need to know what the term restoration means and entails. Within the piano industry the term “restoration” is deﬁned subjectively from one piano technician to the other. While one technician may state that he/she rebuilt your piano, another technician, after inspecting said work, may state that the instrument was not rebuilt; but, reconditioned. Restorations can be deﬁned under two basic catagories: Rebuilding and Reconditioning. Simply, rebuilding means to completely replace all the internal components of the piano with new ones. Nothing original remains with the instrument, save the harp, the bare brackets and mounting supports of the stack and/or action of the piano. Reconditioning means to repair and potentially replace components that are broken or dysfuntional. If something is broken, it is repaired. If it canʼt be repaired, then it is replaced. 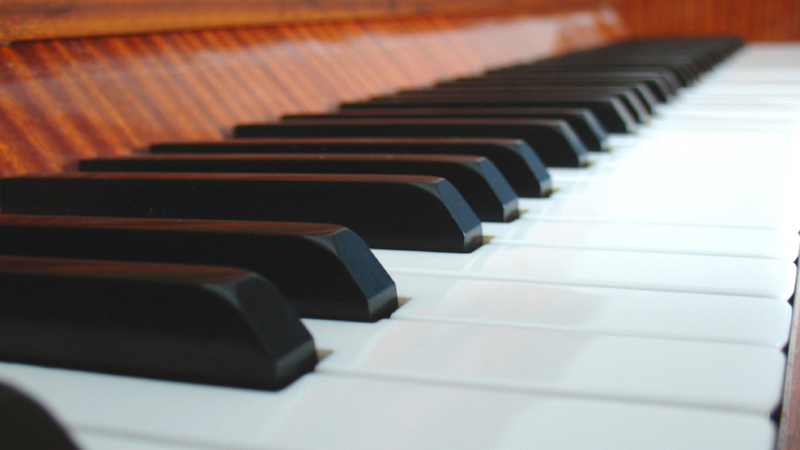 If a part or aspect of the piano presents as functional, it remains with the piano. The goal is to use the original parts and replace parts only if absolutely neccessary. Generally, older grand pianos can be good candidates for restoration. Due to their nature of being a grand piano, they tend to receive better care and attentiveness from their owners. Also, most grand pianos were constructed to last the generations. Their design and geometry are so far superior to uprights that the two cannot be compared. Still, one must consider the value of the brand, quality of design and construction of the grand piano being considered for restoration. Very few grand piano brands actually appreciate in value where the cost of restoration is actually less than buying one new. Each pianos situation is going to be different based on its brand, the perception of its owner and what the piano means and symbolizes to the family. If you own a grand piano that you wished restored please contact me and we will discuss and explore those potentials. For the most part, old upright pianos are not good candidates for restoration no matter the brand. The reason being is that upright pianos have a predictable life span and just do not hold value. It is easy to assume that a 100 year old upright in good condition is an antique and has great value. However, the opposite is true; it has very low to no value. In the late 1800ʼs to early 1900ʼs, there were hundreds and hundreds of piano builders that produced millions and millions of upright pianos. These companys were family owned and operated. They were ﬁne proud artisans and some produced outstanding pianos of excellent tone and workmanship. However, the old upright is so plentiful that their sheer number make them practically valueless. The investment needed to restore these instruments far exceed their value. The lone solitary reason that one would restore an old upright is that it has become a family heriloom. Itʼs been in the family for generations and is going to be handed down to the next generation for posterity and remembrance. These instruments have become a symbol of family pride, love and longevity. Forever linked romantically to the bonds of family, their worth and value trancends the cost of restoration. If you own an upright piano that you wished restored please contact me and we will discuss and explore those potentials.